One of my favorite aspects of living in Philly is the murals that you find all over the city. 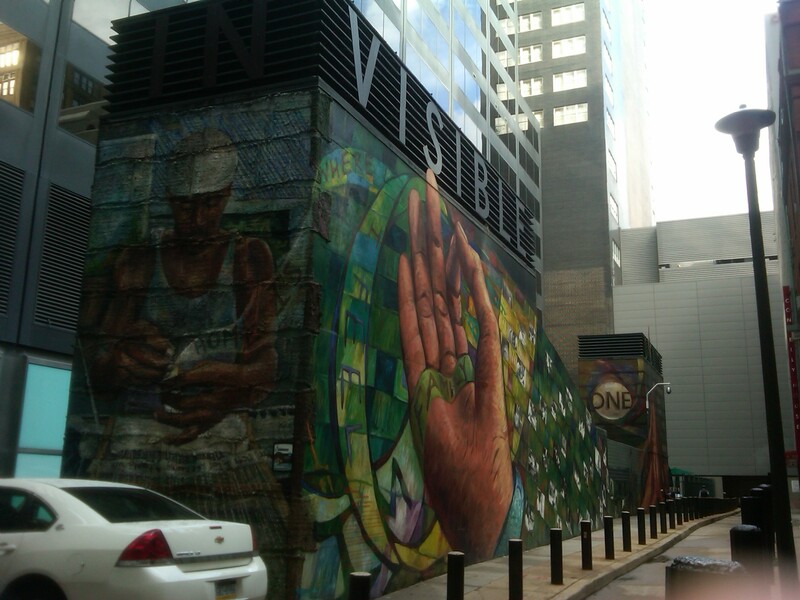 I have never taken a tour of all the murals painted by the Philadelphia Mural Arts Program, although I always mean to. As a result, I am always delighted when I come across a mural that I have not seen before. I enjoy the moment of surprise and then the moments I take to actually see the mural and discover what it stands for. This is exactly what happened last Friday as I was on my way to the Reading Terminal Market. Walking up 13th Street between Chestnut and Market, I noticed the mural “Finding Home” (across from St. John The Evangelist Catholic Church) by Josh Sarantitis and Kathryn Pannepacker.